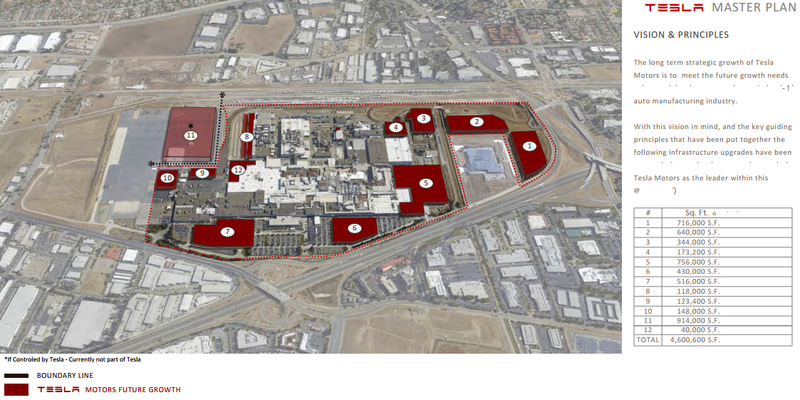 Tesla submitted a new ‘Master Plan’ to the city of Fremont in order to add twelve new buildings around the factory, which could almost double in size, ahead of a massive production increase to satisfy the demand for the Model 3. The presentation deck of what Tesla is calling the ‘Master Plan’ for the expansion was first obtained by the San Francisco Chronicle and now embedded below. 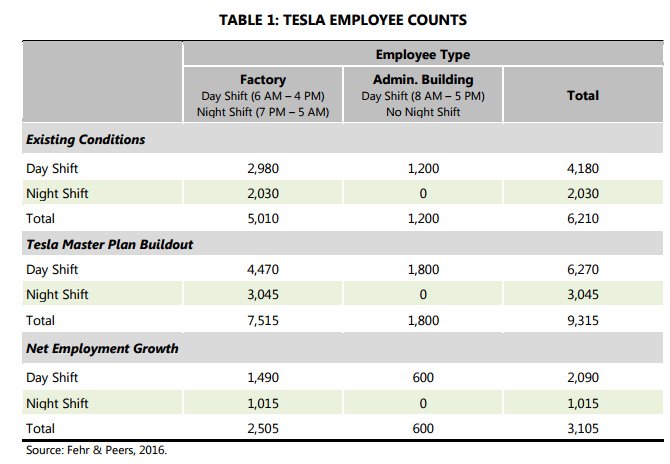 Recent reports suggested that Tesla started construction around the factory, but that’s unrelated to the expansion since the Fremont Planning Commission is only meeting to discuss the project next week and Tesla will only be able to apply for the permits after their decision. They are thousands of housing units being built across railroad track on the other side of the factory and the new BART station. Tesla acquired a 25-acre lot north of the factory and plans to make better use of its current lots to increase the already massive size of the plant. As it currently stands, it contains 5.3 million square feet of manufacturing and office space. The new ‘Master Plan’ also includes new bike and pedestrian paths for employees and a new much-needed parking configuration. The plan will also allow for a significant increase of Tesla’s workforce at the factory. After receiving around 400,000 reservations for the Model 3 earlier this year, Tesla announced its plans to achieve a production rate of 500,000 cars per year at the factory by 2018. That’s close to the same output that the plant had when it was being operated by Toyota and GM. This new expansion aims to support the new production plan. CEO Elon Musk said that Tesla’s overall production could increase to 1 million vehicles by 2020 and while it’s not clear if all vehicles will be produced at the Fremont factory, he did say that he sees a path to the plant allowing for a total output of 1 million cars.